There is a fantastic way to get your family enjoying the very versatile curry. Loaded with flavours from spices and herbs, and textures from coconut, chicken and sweet potatoes – it is absolutely packed with the best of nutrients. Chicken provides a great source of protein for those growing bodies; healthy fats from the coconut milk and olive oil, and of course the best of energising carbs from sweet potato. Their orange colour provides an abundance of catotenes, which converts to vitamin A – essential for healthy skin and good eyesight. These orange gems are abundant in vitamin C, Manganese and other minerals – providing a huge dose of anti-oxidants. 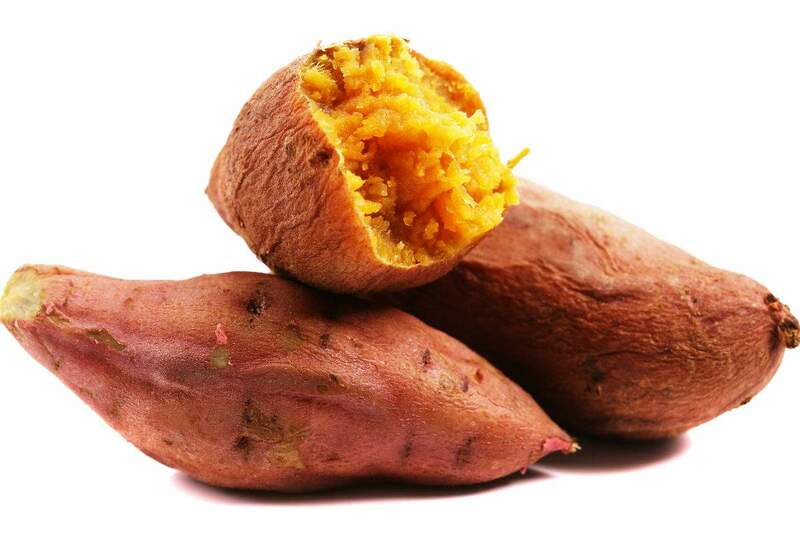 Sweet potatoes are so delicious in themselves, they make a great dessert – simply bake, slice, add butter and cinnamon. Another favourite is to puree banana, hot sweet potato and some soaked dates, then top with greek yoghurt and nuts of choice. As you tuck in to one of out favourite curries here, enjoy the natural sweetness which compliments the other many flavours of this great dish. Add onion and minced garlic, stir few minutes. Let simmer covered for 30-40 minutes or until the sweet potatoes are soft. Add boy choy in the last 5 minutes and season to taste with salt and pepper. See how sweet potatoes are harvested in the video below. What does it mean to ‘cure’ them? Hint: they are not sick.